Before you run out and start buying baby chicks you should check out our great tips to help you get the best and healthiest chickens. 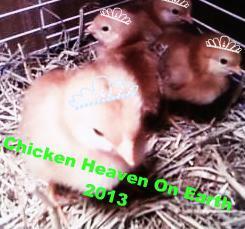 Scroll down to see our Tips for purchasing baby chicks! Before you start purchasing baby chicks you should make sure that you have a suitable cage or coop to keep them in. Your baby chicks will grow quickly during the first few and it is important that you have a safe cage to keep them safe from predator's and dangers. You can get a good chick starter kit to make starting out easier, and it is a good idea to have a book about how to raise chicks as a reference guide. Make sure you only feed them starter feed which is higher in protein and ground smaller than regular feed. When purchasing baby chicks it is a good idea to look for a local source to purchase chicks from instead of mail order because you can view the chicks and see their surroundings. Here are a few handy tips to help you purchase healthy baby chicks. If you do not have any experience with baby chicks it is a good idea to get a chick starter kit and a heat lamp as well as read up on how to take care of baby chicks. Buy at least six and keep them together. This will help them to keep each other warm and will keep them quieter. Look for chicks that have clean nostril's, eye's, feet, and vent areas. (The vent area is located at the rear of the chick). Look for chicks that are fluffy and healthy looking. It is best to pick your chicks out yourself at a reputable location rather than by mail order.